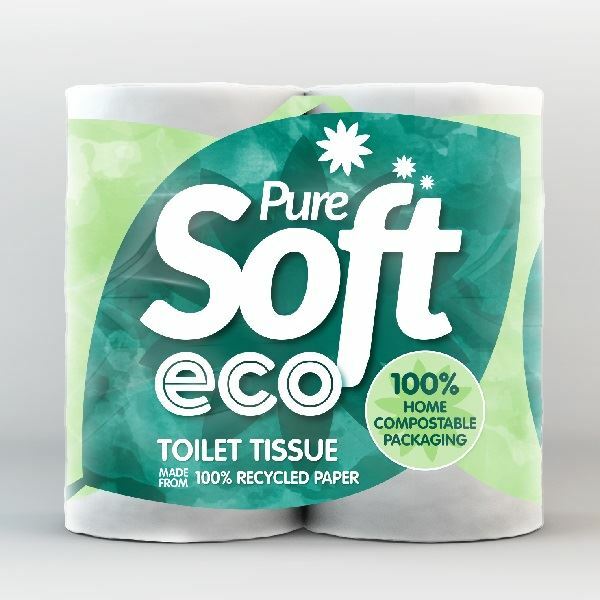 This 2 ply soft quilted toilet paper is made from 100% recycled paper and is a great value environmentally friendly toilet paper that comes in a 100% compostable wrapper. Love these toilet rolls, they are excellent quality. Soft and strong, made from recycled paper with compostable outer packaging. Perfect!